Australia’s vast and unspoiled Kimberley region is under threat, with mining, pastoralism and irrigated agriculture driving an unprecedented land grab. UNDERMINED investigates the politics of an area now branded “the future economic powerhouse of Australia,” and what this means for our First People and their unique cultural landscapes. As pressure from industry exposes the limits of Indigenous land rights, what will remain of over 200 remote Aboriginal communities? We follow young leader Albert Wiggan, veteran cattleman Kevin Oscar and Senior Elder June Davis through David-and-Goliath battles to preserve their homelands, asking the question: for whose benefit is this development? Albert Wiggan is a Bardi-Kija-Nyul Nyul man from the beautiful waters of Boddergron (Cygnet Bay) on the Dampier Peninsula, who is passionate about culture, country and Indigenous science. When the government tried to build the world’s largest LNG plant at James Price Point, Albert lobbied the Supreme Court and fronted a blockade until the developer withdrew from the project. He now works as an environmental consultant with the Nyul Nyul Rangers, is Deputy Chair of the Kimberley Indigenous Saltwater Science Project, Indigenous Chair for Bilbies Australia’s National Recovery Team, and is the Nyul Nyul representative on the board of the Kimberley Land Council. Albert has toured international stages as a speaker and musician with John Butler, and has worked in film and television for the last ten years. He lives with his wife and three children on Nyul Nyul Country in Beagle Bay community. 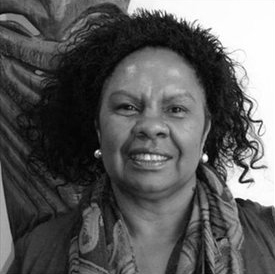 Dr Anne Poelina, Managing Director of Madjulla Incorporated, is a Nyikina Warrwa Traditional Custodian from the Mardoowarra, Lower Fitzroy River in the Kimberley region of WA. She is a Peter Cullen Fellow, Board and Councillor with the Australian Conservation Foundation (ACF), Adjunct Research Fellow with Charles Darwin University, Northern Institute and Adjunct Senior Research Fellow with Notre Dame University Broome. Her work explores the entrepreneurial 'New Economy' opportunities for Indigenous people in relation to green collar jobs in diverse, science, culture, heritage and conservation economies. Dr Poelina promotes the need to include traditional ecological knowledge, First Law and the rights of nature to the solutions for planetary health and wellbeing. Nicholas Wrathall is an award-winning director and producer known for Gore Vidal: The United States Of Amnesia which opened to acclaim at Tribeca Film Festival and was distributed theatrically by IFC. He was first recognized for Abandoned: The Betrayal of America’s Immigrants, featured on PBS Independent Lens and winning the 2001 Alfred I. duPont Columbia Award for Broadcast Journalism. Other documentaries include Endless Caravan, Haitian Eksperyans and The Modern Gulag. Mark Jones is a Broome-based DP, producer, director, editor and writer with over twenty-five years’ experience navigating the unique challenges of shooting in the Kimberley. He is known for for his many camera roles in the quintessential Malcolm Douglas catalogue, nine series of Fishing Western Australia, his own Old Country, New Country for SBS, Wild Australia series for The Australian, Kriol Kitchen for NITV and SBS, and How Art Began with Sir Antony Gormley (BBC 2019). Mark is now in pre-production on Stories in Stone, a feature documentary about the treasure trove of Kimberley rock art and the science that is uncovering its age. Stephanie King is a writer and producer known for critically-acclaimed feature OBSERVANCE (London Film Festival), distributed theatrically by Umbrella and sold to multiple territories by Shoreline. She co-wrote and produced TOOTHMOB about dental health in the Kimberley for Charlie Perkins Trust, and covered KALACC festival of Kimberley cultures. In her advocacy work, Stephanie has won the national and international Green Gown Awards for campaigns around welfare and sustainability. 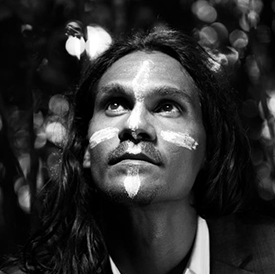 Co-Producer and young leader Albert Wiggan is a Bardi-Kija-Nyul Nyul man from Dampier Peninsula, and writer-performer who trained at the Western Australian Academy of Performing Arts. He has worked in film and television for 10 years, and is best known for OLD COUNTRY NEW COUNTRY (SBS) and Malcolm Douglas's films. The Kimberley region of North Western Australia covers an area of 420,000 km2 and is recognised as one of the world’s most ecologically diverse areas, with one of the last pristine coastlines left on Earth. 75 per cent of long-term residents are Indigenous, from 34 different language groups (or nations), which comprise the oldest surviving culture in the world. Their stories and ecological knowledge are recorded in tens-of-thousands of rock art sites dotted across the dramatic Kimberley landscape. Approximately half the Indigenous population now lives in 200 remote Aboriginal communities varying in size from 20 to 900 people. 94 per cent of the Kimberley landmass is subject to a Native Title claim or determination, which is the greatest of any region in Australia. The federal Native Title Act was designed to recognise the rights and interests of Indigenous people to their traditional homelands, or Country, after the famous victory in 1992 of Eddie Mabo in the High Court, which for the first time threw out the colonial legal doctrine of terra nullius, or ‘empty country’, in favour of the rightful claims of Australia’s first people. The Act affords Traditional Owners a set of rights to access their Country for traditional purposes (hunting, fishing, gathering and ceremony), however it does not provide actual land tenure.